Things have taken a sharp turn for the worse since Athletic Bilbao won admirers aplenty for their run to the Europa League final last season. Just one win in six to start the new campaign sees the Basques languishing at the wrong end of the La Liga table and as if losing 2-0 at Real Sociedad at the weekend were not bad enough, the club are showing their strains with a series of training ground bust-ups. The latest saw coach Marco Bielsa, known (usually affectionately) as ‘El Loco’, ostracise lead scoring threat Fernando Llorente, who now looks destined for the naughty corner until a move away from Bilbao in January. Bilbao are an outside 16/1 relegation bet, but given the strength of their side things should pick up, starting with a winnable home match against Osasuna on Saturday. As a club that prides itself on breeding hard-working local talents, it is difficult to see the current squabbles as a sign of arrogance rather than genuine anger at their current form – anger that Bielsa can harness to their advantage. Punters can take advantage of their brief plight, as their odds of recovering and landing a top-four finish at the end of the season are now as long as 12/1. There are, perhaps, other teams with better claims for belonging to that final quarter, but 12/1 are decent odds for a team that was in definite contention for the Champions League places until four matches to go last time around. 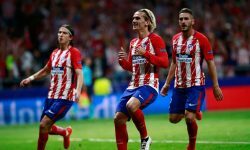 While Athletic languish for the time being, Atletico Madrid continue to sprint into the new season, with yet another Radamel Falcao strike sealing a 1-0 win at Villarreal. The Colombian’s seventh goal of the season saw him edge ahead of Lionel Messi and Cristiano Ronaldo in the race for the Pichichi. With five wins in a row under their belt, Atletico would sit top of the table now if it wasn’t for Barcelona’s spectacular late comeback at Sevilla. The lesser fancied Madrid side’s odds of being unlikely La Liga winners have been cut to 20/1 from 28/1 and the bookies reckon they are nailed on for the top four with odds of 7/20. Barcelona’s title odds also remain at 7/20 following their 3-2 win in Seville, while Real Madrid, who were 5-1 winners over Deportivo last weekend, are currently rated at 23/10 to retain their title. Of course, punters can surely expect these two prices to change dramatically according to the result of Sunday’s Clasico.